Michelle is a fully qualified and fully registered acupuncturist. She trained at the renowned College of Integrated Chinese Medicine in Reading for three and a half years. 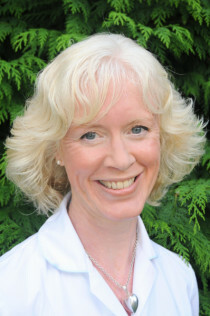 Michelle has received further specialist training in gynaecology, fertility, pain and facial enhancement acupuncture. As a member of the British Acupuncture Council, Michelle follows the Council’s Codes of Ethics and Safe Practice. She practises Traditional Acupuncture, combining the style of Chinese Medicine to treat a wide variety of physical, mental and emotional symptoms with the more modern techniques of 5-Element acupuncture, which treat the underlying constitution of a person to promote optimal wellbeing. Having gained a degree in Mathematics, a Master’s degree in Medical Statistics and spending 12 years working in western medical research, Michelle became aware of the fact that there is more to the health of a human being than just the physical. She went on to study for a Diploma in Anatomy and Physiology and then Holistic Massage. With this newly acquired knowledge and whilst working at a complementary health clinic, Michelle became more interested in the flow of energy in the body and in the power of the mind. Having benefited from acupuncture herself, she decided to channel this interest and study for the degree qualification, so that one day, she might be able to pass the benefits onto others.